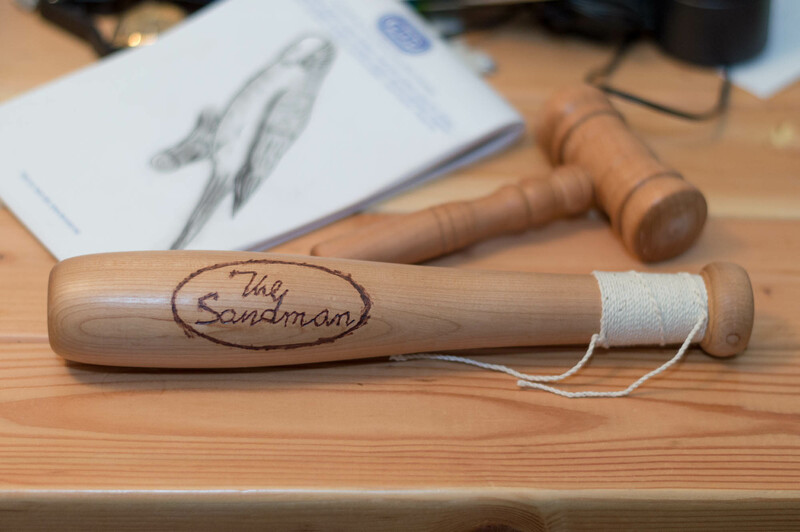 This is a miniature version of “The Sandman” baseball bat from Team Fortress 2. It is made from basswood and was turned on the lathe. The logo was burnt on with an soldering iron.